Home » SOCIAL » RICHARD GOMEZ: KILL ALL CROOK POLICE... MUST READ!!! RICHARD GOMEZ: KILL ALL CROOK POLICE... MUST READ!!! 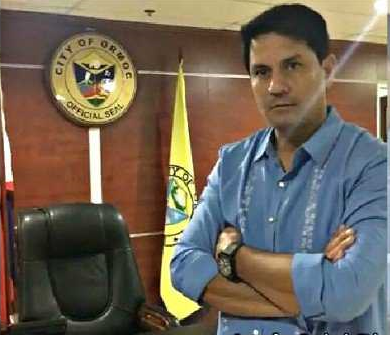 The Actor and now Ormoc City Mayor Richard Gomez had posted in his facebook account with regards the issue of Anti-drug campaign by the government. He strongly criticized the crook police that had been assigned in nearby towns in Province of Leyte. “In our fight against illegal drugs, what do we do when the police themselves are the ones making up stories and implicating the people not involved in the trade to muddle the whole situation? Still, we cannot deny the fact that there some abusive police officers who are using their authorities over the civilians. There are so many reports coming from different parts of the Philippines that most of the killing incidents, the involved are the police officers. Some police had been identified by the witness, then some were caught by the same uniform. It is sad until now, the government has no direct action on some cases, some are just been relieved from their post and transfer to the other offices and headquarters. Some victims are waiting for a long time for the case to be heard. We hope that the Dutertes government will have an immediate response to all abusive police.